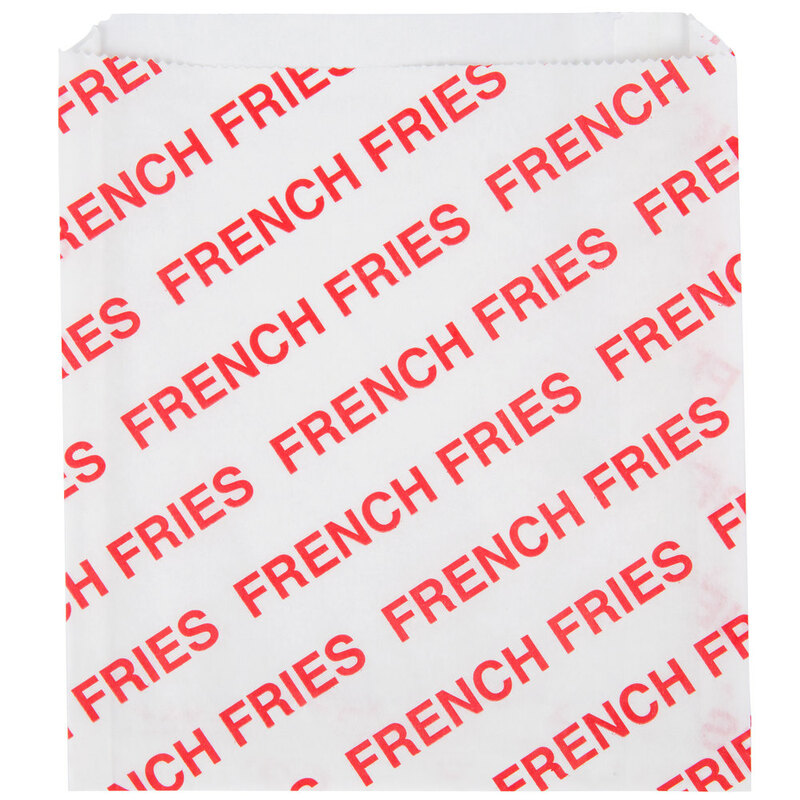 Serve hot and fresh fries at your concession stand, food truck, or fast food restaurant with this Carnival King 6" x 3/4" x 6 1/2" extra large printed french fry bag! The attractive french fry print on the bag is sure to catch the attention of your hungry fair or carnival-goers. Made of dry wax-coated, grease-resistant paper, this durable bag keeps any grease, salt, and moisture inside the bag and not on customers' hands. This bag's extra large size and 3/4" gusset gives you extra room for more packing in more fries!